The author of a new study of evolutionary convergence argues that the development of life on Earth is predictable, meaning that similar organisms should therefore have appeared on other, Earth-like planets by now. The almost-certainty of ET being out there means that something does not add up, and badly. We should not be alone, but we are. Extra-terrestrials that resemble humans should have evolved on other, Earth-like planets, making it increasingly paradoxical that we still appear to be alone in the universe, the author of a new study on convergent evolution has claimed. The argument is one of several that emerge from The Runes Of Evolution, a new book in which the leading evolutionary biologist, Professor Simon Conway Morris, makes the case for a ubiquitous “map of life” that governs the way in which all living things develop. It builds on the established principle of convergent evolution, a widely-supported theory – although one still disputed by some biologists – that different species will independently evolve similar features. Conway Morris argues that convergence is not just common, but everywhere, and that it has governed every aspect of life’s development on Earth. Proteins, eyes, limbs, intelligence, tool-making – even our capacity to experience orgasms – are, he argues, inevitable once life emerges. The book claims that evolution is therefore far from random, but a predictable process that operates according to a fairly rigid set of rules. If that is the case, then it follows that life similar to that on Earth would also develop in the right conditions on other, equivalent planets. Given the growing number of Earth-like planets of which astronomers are now aware, it is increasingly extraordinary that aliens that look and behave something like us have not been found, he suggests. “Convergence is one of the best arguments for Darwinian adaptation, but its sheer ubiquity has not been appreciated,” Professor Conway Morris, who is a Fellow at St John’s College, University of Cambridge, said. Professor Conway Morris has previously raised the prospect that alien life, if out there, would resemble earthlings – with limbs, heads, and bodies – notably at a Royal Society Conference in London in 2010. 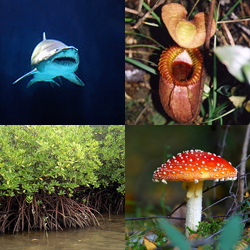 His new book goes even further, however, adding that any Earth-like planet should also evolve thunniform predators (like sharks), pitcher plants, mangroves, and mushrooms, among many other things. Limbs, brains and intelligence would, similarly, be “almost guaranteed”. The traits of human-like intelligence have evolved in other species – the octopus and some birds, for example, both exhibit social playfulness – and this, the book suggests, indicates that intelligence is an inevitable consequence of evolution that would characterise extraterrestrials as well. Underpinning this is Conway Morris’ claim that convergence is demonstrable at every major stepping stone in evolutionary history, from early cells, through to the emergence of tissues, sensory systems, limbs, and the ability to make and use tools. The theory, in essence, is that different species will evolve similar solutions to problems via different paths. A commonly-cited example is the octopus, which has evolved a camera eye that is closely similar to that of humans, although distinctive in important ways that reflect its own history. Although octopi and humans have a common ancestor, possibly a slug-like creature, this lived 550 million years ago and lacked numerous complex features that the two now share. The camera eye of each must therefore have evolved independently. Conway Morris argues that this process provides an underlying evolutionary framework that defines all life, and leads to innumerable surprises in the natural world. The book cites examples such as collagen, the protein found in connective tissue, which has emerged independently in both fungi and bacteria; or the fact that fruit flies seem to get drunk in the same manner as humans. 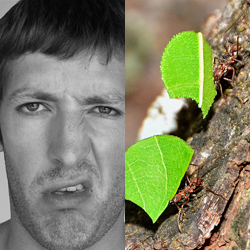 So too the capacity for disgust in humans – a hard-wired instinct helping us avoid infection and disease – is also exhibited by leaf-cutter ants. The study also identifies many less obvious evolutionary “analogues”, where species have evolved certain properties and characteristics that do not appear to be alike, but are actually very similar. For example, “woodpeckerlike habits” are seen in lemurs and extinct marsupials, while the mechanics of an octopus’ tentacles are far closer to those of a human arm than we might expect, and even their suckers can operate rather like hands. Conway Morris contends that all life navigates across this evolutionary map, the basis of what he describes as a “predictive biology”. “Biology travels through history,” he writes, “but ends up at much the same destination”. The Runes Of Evolution was six years in the making and draws on thousands of academic sources, and throws up numerous other, surprising findings as well. 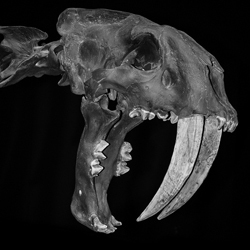 Sabre-teeth, for example, turn out to be convergent, and Conway Morris explains why it is that the clouded leopard of Asia, Neofelis nebulosa, has developed features that could, as it evolves “presage the emergence of a new sabre-tooth”, although sadly it looks set to become extinct before this happens. Elsewhere, the study suggests that certain prehistoric creatures other than bats and birds may have attempted to evolve flight. The camera eye of an octopus is structurally similar to that of a human, but has evolved independently, making it a classic example of convergent evolution.